Bisbee's Black & Blue Tournaments -- what's the fuss? 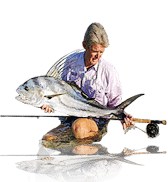 Home / Fishing / Bisbee’s Black & Blue Tournaments — what’s the fuss? 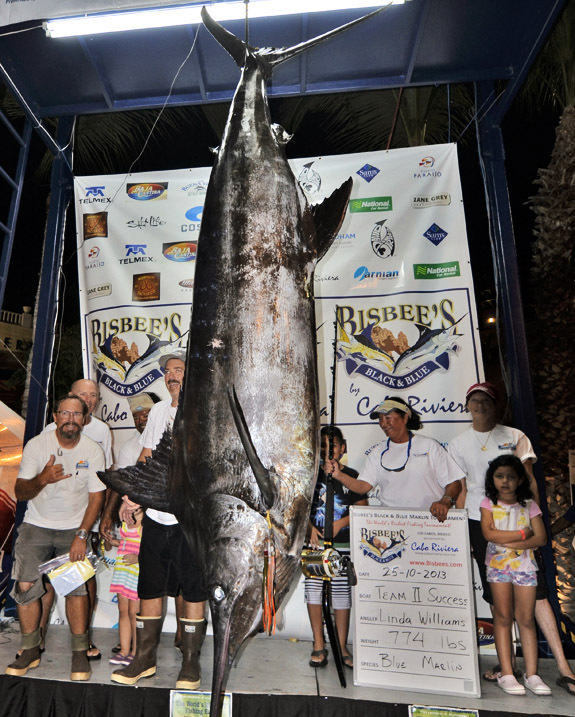 At first glance, the Bisbee Black and Blue tournaments might be categorized as just another series of money tournaments awarding huge sums for catching the largest and/or most billfish. 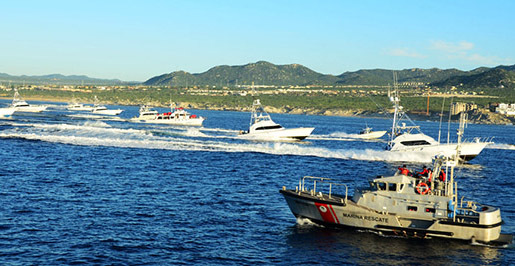 The three events come in a variety of sizes: East Cape Offshore (ECO) medium, Los Cabos Offshore (LCO) large, or Super-Sized Black and Blue – three tournaments that allow teams to participate at the level in which they are comfortable. When I asked Captain Marlin Parker of Kona why he was at this year’s Black and Blue while the bite in his home waters was off the charts, he simply replied, “It’s the money” … which sums up many of the teams’ attitudes. For the uninitiated, regardless of which event is being considered, the decision to compete or not is daunting. Each requires a substantial financial investment depending on the level of jackpots a team chooses to compete. The cost for entry in ECO is $1,500 base and $15,000 across the board; LCO will run $1,500 for base entry and $10,500 for all across the board levels; and finally, the granddaddy of them all, Black and Blue will set you back $5,000 for the base entry and a whopping $71,500 to compete at all levels. It occurs to me that the entry fees may seem exorbitant, but the prizes given for a winning fish can be extraordinary. 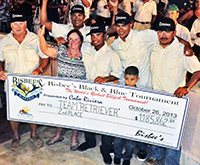 As an example, this year, because the Retriever’s team was in more jackpots, they earned a click less than $1.2 million for their blue that weighed 525 pounds – a fish that placed them in second place on approximately a $32,000 entry fee. First place belonged to Team II Success. They captured the second largest blue in the history of the Black and Blue, a 774-pound fish. However, it only earned them $368,675 because they were in fewer jackpots. Regardless of the event chosen, beginning with registration day, the experience is unique. 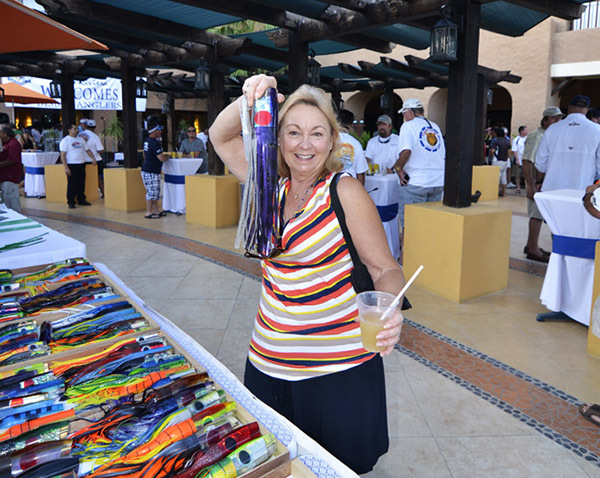 Tables are piled high with special team bags stuffed with swag; venders are on hand displaying various items related to sportfishing. Additionally, there’s the opportunity to rub shoulders with some of the top teams bedecked in their brightly-colored T-shirts, worn like medieval warriors shields. Not to be ignored is the opportunity to size up the competition, as well as pick up some pointers and tips from other teams. While many of the teams will have been pre-fishing and scouting for days aboard their own fish machines, the non-boat owners have the option of chartering local boats with experienced crews that have extensive local knowledge (a fact which many consider to be an advantage.) There are large local fleets available for all of the venues. The concept for the original contest was born in Newport Beach, Calif. next to the Balboa Island Ferry where Bob Bisbee and John “JD” Doughty operated Bisbee’s Sportfishing Center. The first event was a wager among friends to promote the business. The rules were simple: the largest black or blue marlin caught won the $10,000 in prize money. A handful of boats signed up to compete. As the small flotilla began its journey from Southern California down the Baja peninsula, Bisbee never dreamed that this friendly competition would be the foundation for a family business that would host a fleet of boats the size of a small navy, dominating the world of big fish tournaments. Nor did he think that he would be credited by many as one of the individuals who helped change Cabo San Lucas, a sleepy, dusty little village at the tip of the Baja Peninsula into a tourist Mecca of epic proportions. The concept gained in popularity and the number of entrants grew exponentially. By 1990, the $10,000 prize money had grown to nearly $750,000. Like the “tail wagging the dog,” the event that was spawned to raise extra revenue for Bisbee’s original business, had grown into a full-fledged family enterprise. As the prize monies grew, so did the breadth of the customer base. 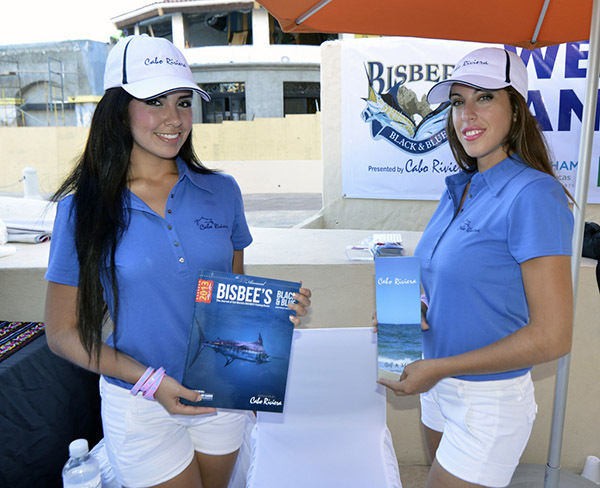 Bisbee became an integral part of the development of Cabo San Lucas as he watched this small retreat for Southern California boat owners become one of the most talked-about worldwide resort and fishing destination. Bob Bisbee continued to oversee the event as it grew larger and then in 1995, he turned the day-to-day operations over to his son, R. Wayne and daughter, Patricia (Tricia). 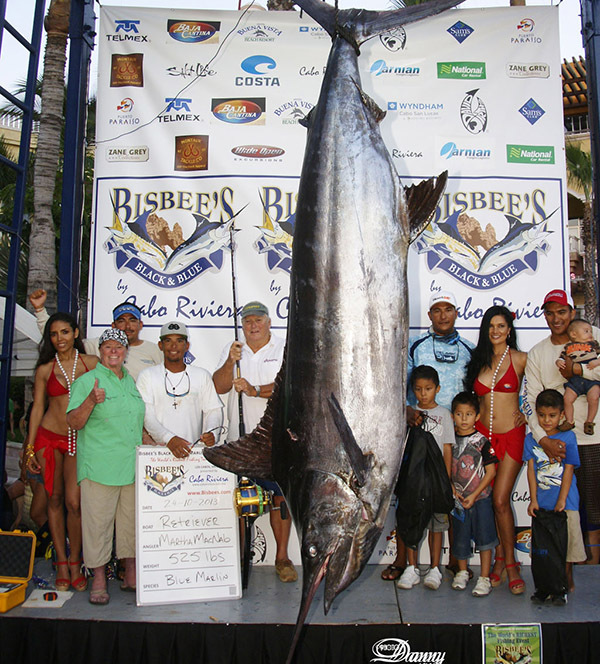 Bisbee’s Black and Blue Tournaments have been taking place in the Los Cabos region of the Baja Peninsula in Mexico for the past 33 years, currently producing three tournaments – Bisbee’s East Cape Offshore in Buenavista each July; the Los Cabos Offshore Charity Tournament; and Black and Blue Marlin Tournament in October in Cabo San Lucas. 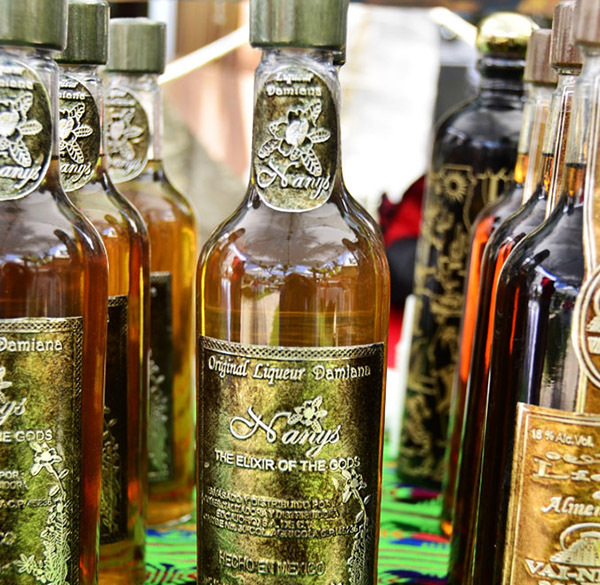 The Bisbee Tournaments have become some of the richest in the world. Under the direction of Wayne and Trish, the business has continued to grow. Now, truly a family-run business, members of the extended Bisbee family, boasting three generations, along with a dozen or so staffers and volunteers, keep the event running smoothly – entertaining participating teams from all 50 states, as well as England, France, Canada, Brazil, Tahiti, Australia, Japan, Mexico, Italy, Portugal, Guatemala, Russia and many Caribbean Islands. All of the events feature shotgun starts for each day of fishing. As the teams gather at the start line, the Tournament Chairman reviews the latest information before the countdown begins and concludes with the firing of the flare gun signaling the beginning of the fishing day. Throughout the day, all hookups are reported including the grid where they occurred, the disposition of each hookup including Boat Name, Angler, Time of Hookup and Species, as well as when the fish was either landed, released or lost … all intended to provide the other teams information to improve everyone’s chances. As soon as word is out that a team has caught a fish and it’s headed for the scale, crowds of spectators gather at the weigh-stations to greet these “rock stars,” anxious to see their catch. Photographers and press crowd around the team members following the prize catch to the scale shouting questions: Where did you catch it? How long did it take? And so on, until the moment of truth, when the fish is finally hung and the needle swings to a stop on the scale. Whether the fish is a contender or not, the cheers and/or jeers from the onlookers can be deafening. Often other teams without a catch end up visiting the weigh-station to be part of the excitement. Regardless of the outcome, the anxious trip to the scale will remain with the team for a long time. To be successful in the tournaments, strategy is a major part of the game. Perhaps a team had targeted billfish only to have some other qualifying fish bite that would be a contender. It’s not unusual to have that team then ignore billfish and devote their entire efforts to catching the contending species that also qualifies … maybe a yellowfin tuna, dorado or wahoo if they count. Even in the billfish category, if a team is plagued with smaller, non-qualifying billfish that would fail to meet the minimum weight, redirecting the team’s effort toward the release category may be a wise decision. After the final “stop fishing, stop fishing” has boomed over the marine radio, regardless of the success or failure of the teams, the Awards Banquet becomes the focus. Everyone loses the intensity of the hunt, and shifts into the party mode. Beginning with camaraderie and cocktails, or perhaps cocktails and camaraderie, the banquet is always a gala affair filled with pageantry, fireworks and a large dose of fun for everyone. Winners revel in their victory and putting the competition to one side, most of the other teams become united in the celebration and cheer them on, vowing to be in their place next year. The Bisbee family and their staff provide a memorable experience for everyone – those who win and those who do not. Their 33-year track record attests to their remarkable success, underscored by the number of teams that return year after year. Yamaha Marine launched its "Jump into Summer" Sweepstakes on Facebook® on Memorial Day, Monday, May 27.